How to post pictures using the URL from Flick'r? At the top left of your flickr pictures you'll find q "share" button with a bblink. Copy it and paste it here..
Love the rowing set up. Bet she flies eh? I am torn between using one or both. They are 43 inches overall, 34 inches to the bolt hole. 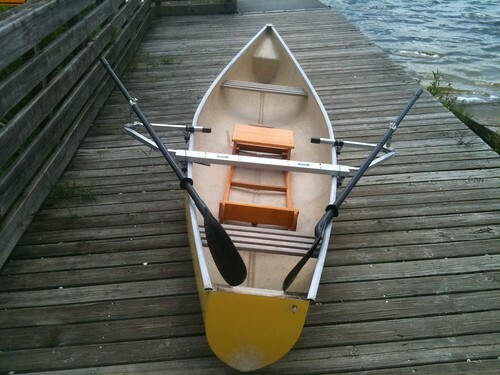 I do have a wide beam (36") and plan on sailing it as a tacking outrigger with an 8' ama. I believe the Solway board is a full 4 feet long? 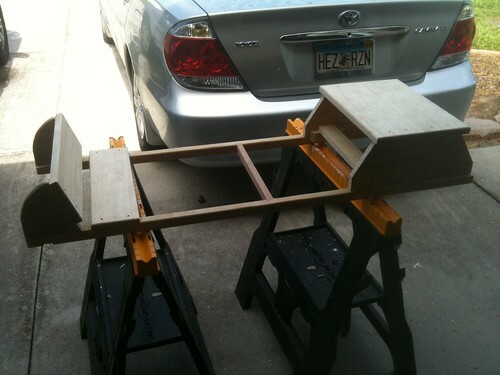 I was leaning toward using both if the the second one will work between the beams for the ama... 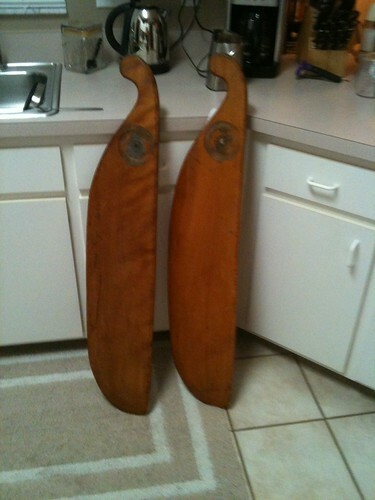 I want to profile a board similar to Solway's in the future for use by itself. 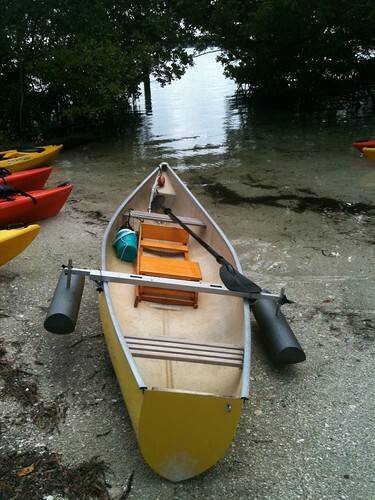 If you use an outrigger so that the canoe doesn't heel, then the single leeboard should be ok. We use a longer board because when it is on the upwind side it can come out of the water by about 1ft when the canoe heels, and what is left in the water still has to work. Rowing a canoe is great fun. I found I could make headway against an ebbing 5 knot tide with a pair of 7 and a half foot long oars on my prospector, much easier than paddling.